[Video] How to Hide your JioFi Hotspot from Other Users? You can restrict your JioFi device visibility just by making few simple network setting changes. You can hide your JioFi device, block users from accessing your device, allow only your devices to connect to your JioFi. How to Block and Hide your JioFi from Other Users? Note: Your JioFi will not appear in their Wi-Fi list if you make the following SSID setting. Step 1. Connect your JioFi Hotspot with your smartphone or PC. Step 2. Now open any of your browsers. Preferably use ‘Google Chrome’. Step 5. Go to Settings and click on Network. Step 6. You will see the option of MAC address filter. By default, it is disabled just Enable it. If you wish only devices of your choice to connect to your JioFi then proceed forward with steps below. Once the above steps are complete and you Enabled MAC address filter. You will notice an option of MAC address filter mode. Now click on Add option and you will notice all the MAC address (devices) which are connected to your JioFi router. Click on the MAC address’s to which you wish to give your JioFi access and confirm it. Once done, only those MAC or devices which you listed will have access to your JioFi internet. Now click on Add option and you will notice all the MAC address (devices)connected to your JioFi. Once done, all the MAC or devices which you listed will not access to your JioFi internet. Note & Conclusion: You need to simply click on MAC Address Filter Disable to bring make your JioFi open for all. I hope the post was helpful. Do comment below for any assistance. If you've any thoughts on Hide your JioFi Hotspot and Block Users from Accessing it, then feel free to drop in below comment box. 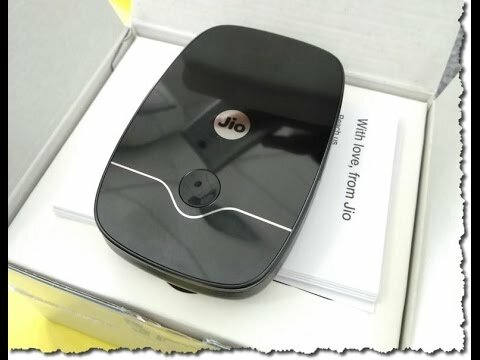 If i hide Jio said and my family members are connected to it, will they still be able to auto connect whenever I switch on jiofi? Also how to add jiofi network to other device when it’s SSID is hidden? Yes, surely they can connect. Watch the video for more info. Send me Proper link. tired to find it on jiofi.local.html , here is no any option like your video. what happen? thanks a lot bro. now feeling free of unnecessary stress from parasites. really nice info. thanks.